We recently reported that a blogger named Sandra Rose reported reality star Tamar Braxton and her hubby Vincent Herbert are expecting their first child after months of consideration whether they should start a family or not. Well, now a source inside the Braxton's camp claims the fab Tamar is indeed pregnant. Reality Star Tamar Braxton Is PREGNANT! Then Starts Twitter Beef After Reports Leaked! Reality star/singer Tamar Braxton is reportedly with child! The spicy Braxton, who is expecting her first child, got really pissed off about her secret pregnancy getting out-- especially at a well-known blogger. 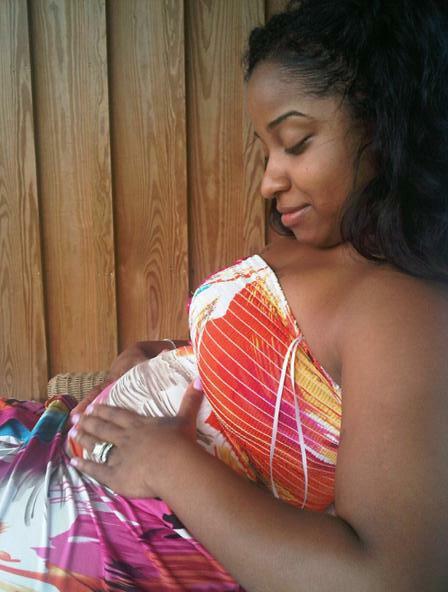 Ex-wife of Lil Wayne-- Toya Wright and husband Mickey “MempHitz” Wright are welcoming a new addition to their family! Toya posted this photo (above) to her Instagram account where she is holding her belly, while gazing down at the life inside. According to MTO: Wright is in her second trimester. Tamera Mowry shows off baby bump! Tamera Mowry is wasting no time uncovering her baby bump. It was announced earlier this week that Tamera and hubby Adam Housley are expecting their first child, and now there's photographic proof! Nick Lachey has revealed that he and his wife Vanessa Lachey (nee Minnillo) are expecting their first child together. Nick confirmed the news Monday (Mar 5) during an appearance on “Live! With Kelly,” adding that the baby isn’t due for another 6 months. If Snooki's engaged, there must be a ring, right? The mommy to be sported the sparkler during a trip to a pet store in Jersey City, where she and JWoww are filming their reality spinoff. She and JWoww were spotted walking their two little white dogs to the story. Both ladies wore dark sunglasses. LaValle apparently turned down offers from various jewelers for a free ring in exchange for publicity, according to a source. "He was adamant that he did this on his own," the source said. What still hasnt really seen yet is Ms. Snooki's baby bump. Since news broke last week that she was expecting her and LaValle's first child, she has been seen outside in loose clothing. Behind closed doors is another story. "The bump is showing a little," our insider said. "Snooki looks so cute and so happy." And so far no complaints of morning sickness or reports of wacky cravings. "She said she's feeling fine," the source said. "Everything is good." During a recent inteview, rapper Jim Jones sat down with Q Deezy in Philly where he denied rumors that Chrissy was pregnant. Once that was squared away, he said being engaged is great. I must say that this is one guy who loves being engaged, now when is the wedding Jim?? Jimmy also took the time to apologize to fans who had to witness his latest run-ins with the cops. 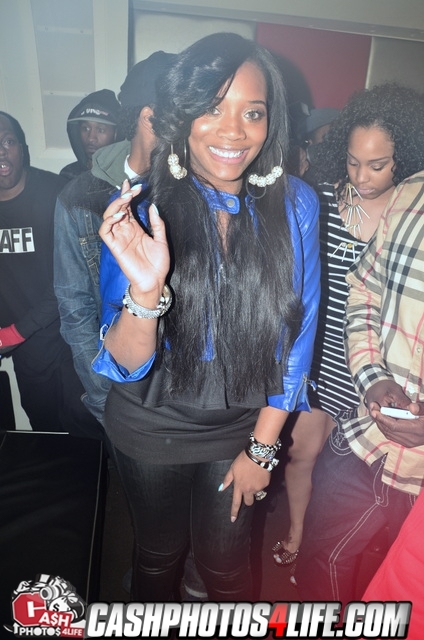 We reported over a month ago that most of the "Love & Hip-Hop" cast members were pregnant including Yandy Smith. Now there are only two confirmed pregnancies, "Kimbella and Chrissy" and it looks as if Yandy can be added to the Pregnancy list.. Check out Yandy's recent baby bump photos below..
Snooki's Pregnancy Affecting 'Creative Direction' Of Snooki and JWOWW Vs. the World Spin-Off Show! Snooki's secret pregnancy is a joyful time for the pint sized star, but it is causing some major upheaval for her new Jersey Shore spin-off reality show called Snooki and JWOWW Vs. the World. Which features their dear friend and fan favorite DJ "Pauly D" who has is own reality tv project called The Pauly D Project. Photo above is a recent pic of the newly pregnant snooki! Everyone’s favorite “Jersey Shore” guidette, Snooki, 24, is pregnant with her first child (according to The New York Post)! The reality star who has turned her drunk, fist-pumping antics into an empire, is approximately three months pregnant by her boyfriend Jionni LaValle.